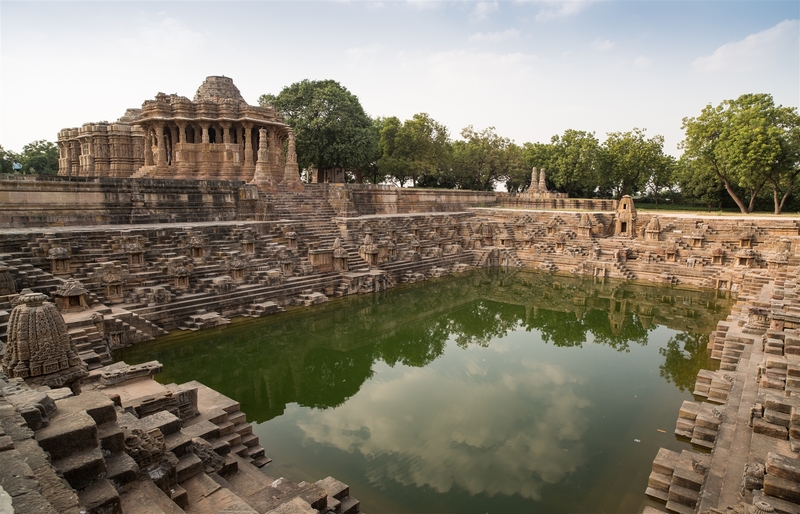 Modhera lies just over 100km from Ahmedabad, but is less than an hour away from the Rani Ki Vav step-well at Patan, so you can combine the two easily in day from the city. 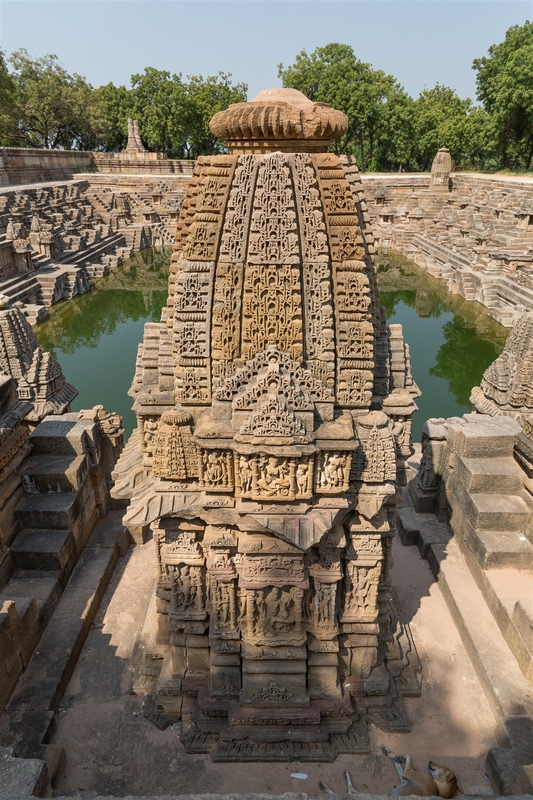 The Sun Temple at Modhera is one of the few shrines in India dedicated to the Sun God (the other most notable one being at Konark), and is situated on the banks of Pushpavati River. 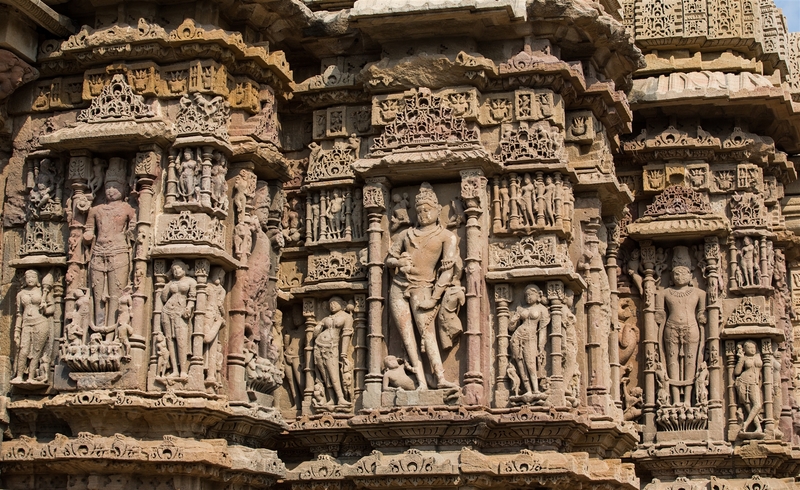 The temple was built in 1026 by King Bhimdev of the Solanki dynasty, and it’s construction is aligned so that the first rays of the Sun cast on the image of the Lord Surya. 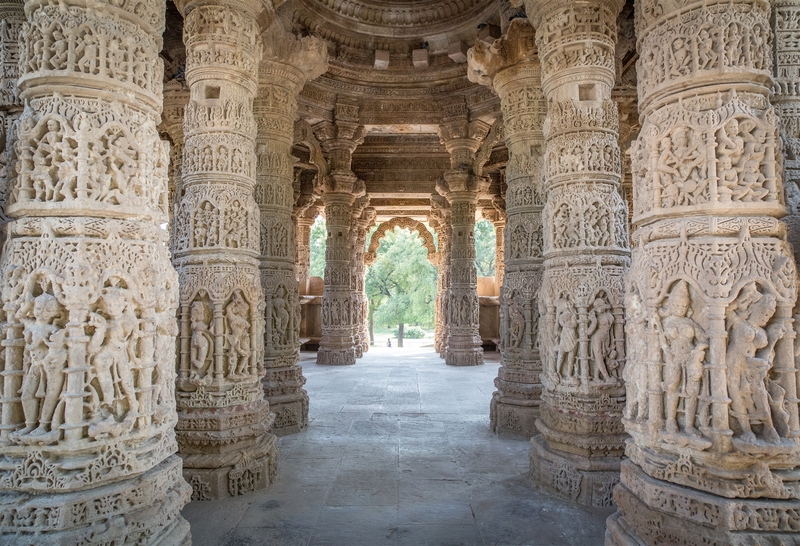 The Temple was partially destroyed by Mahmud Ghazni, but so much remains that you can easily imagine what the complex would have looked like in it’s hey-day. 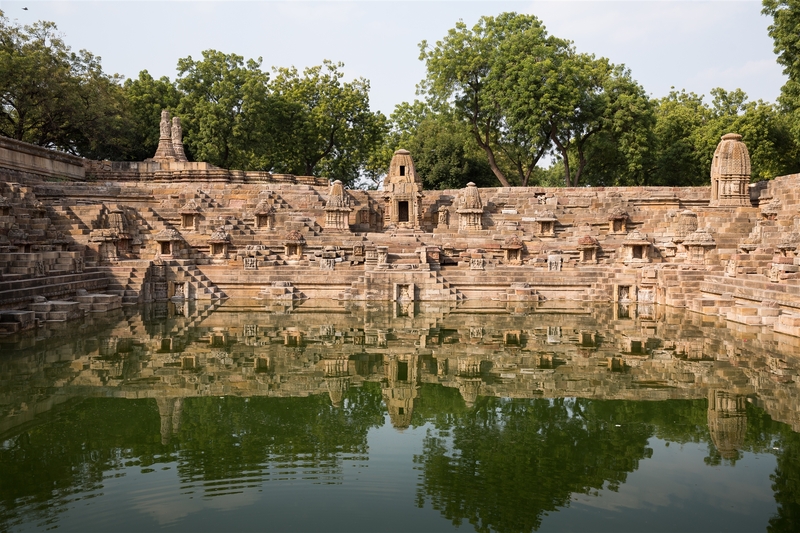 Upon entering the site you first come to a stepped tank known as Surya Kund. The tank was named after the Lord Surya (Sun God). In the earlier times, this 100 sq meter rectangular tank was used to store pure water. 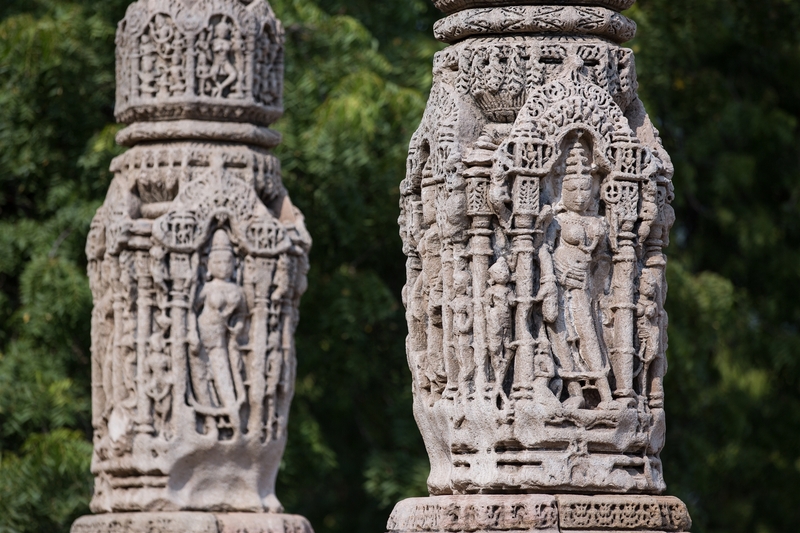 The devotees used to take a halt here for ceremonial ablutions before moving towards the temple. 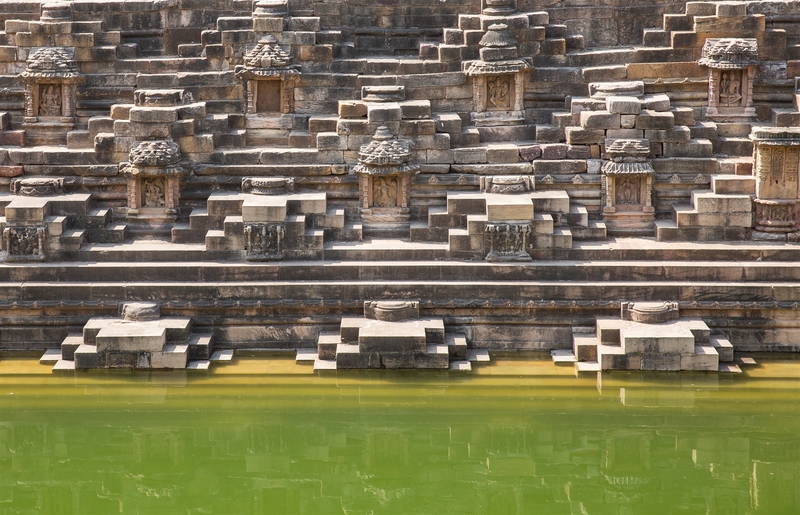 At least 100 shrines mark the steps of this tank including the shrines dedicated to Lord Ganesha, Lord Shiva, Sheetala Mata and many others. 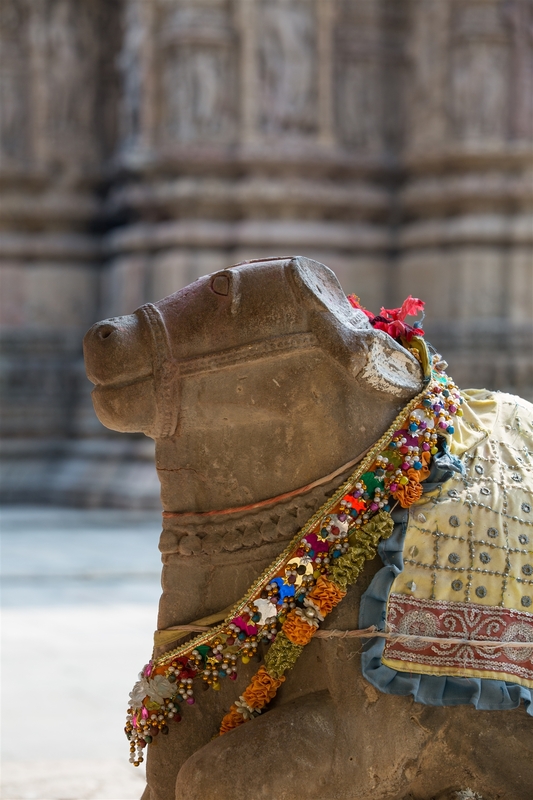 In front of this tank, a huge ‘torana’ (archway) leads to the Sabha Mandap. 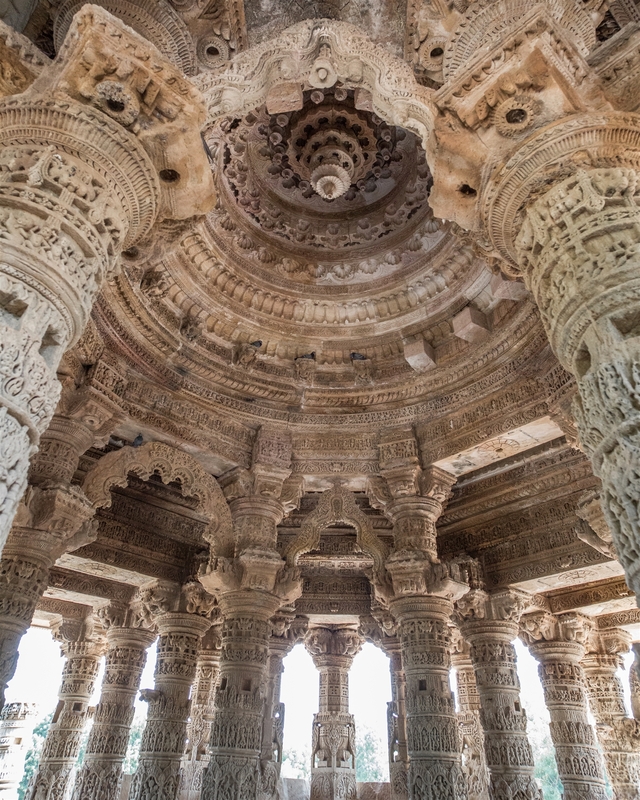 Standing proud in front of the tank, the Sabha Mandap was an assembly hall where religious gatherings and conferences are conducted. 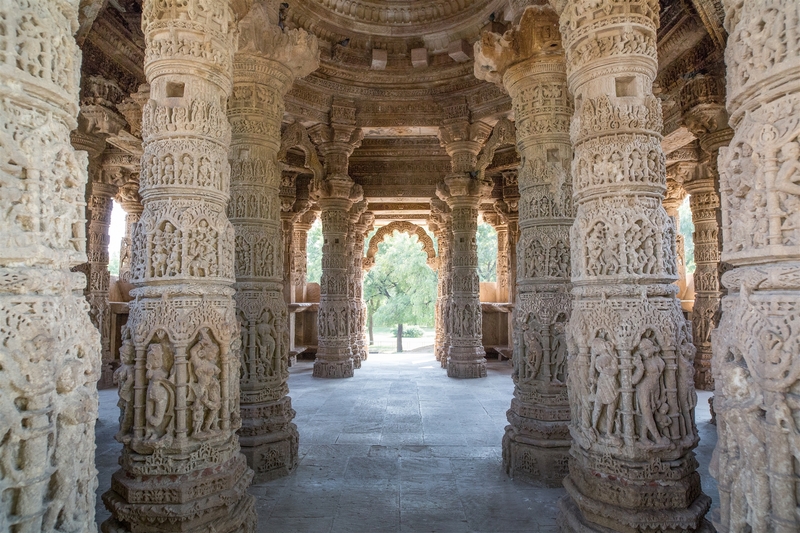 This hall is open from all four sides and has 52 delicately carved pillars. 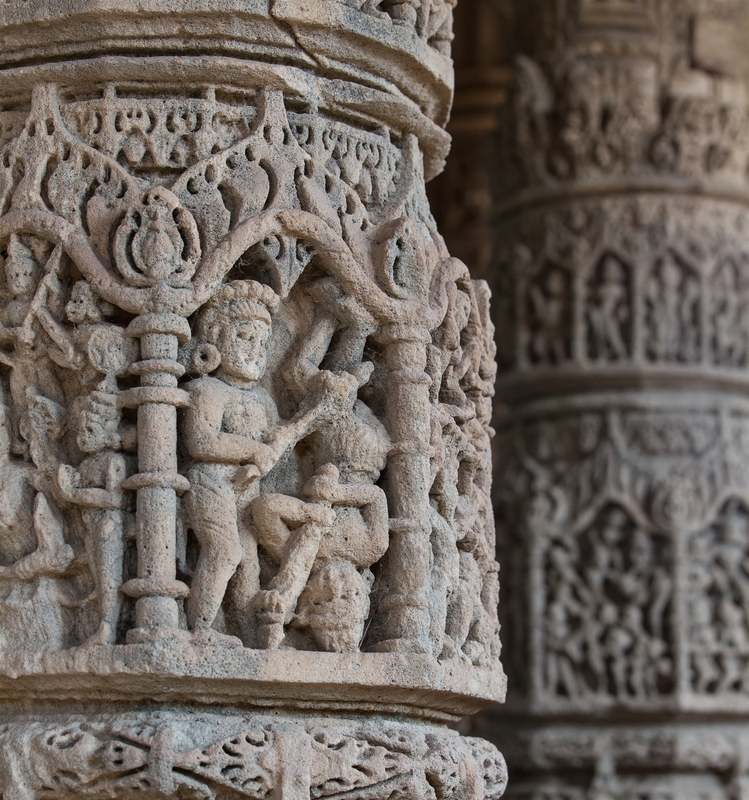 The intricate carvings depict scenes from the Ramayana, Mahabharata (Indian Epics) and scenes from the life of Lord Krishna. 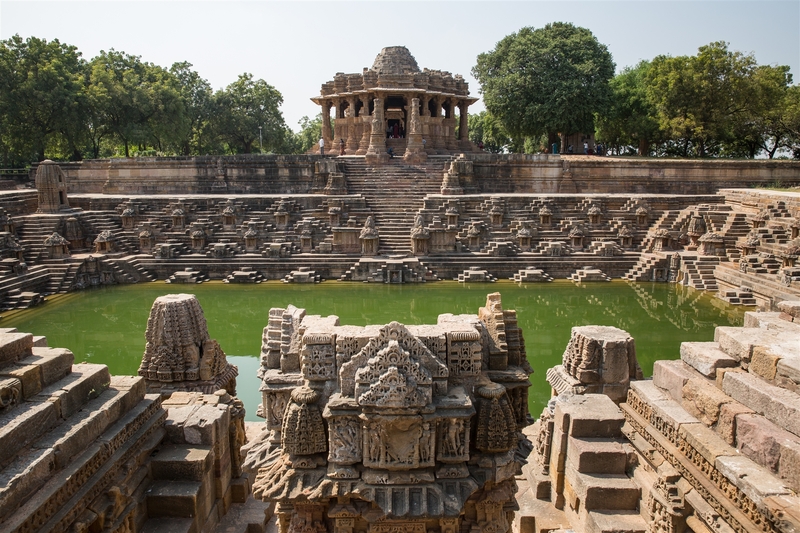 The Sun Temple at Modhera is open 7am – 6pm.